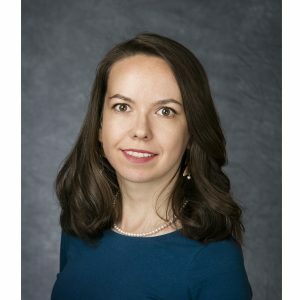 Adela Spulber joined CAR in 2015 as a Transportation Systems Analyst within the Transportation Systems Analysis research group. In this role, she focuses on connected and automated vehicle research, new mobility services, and contributes to efforts in economic development, supply chain and logistics, and other topics. Prior to working for CAR, Adela worked as a Project Coordinator at the Cross-border Operational Mission in Paris, a non-profit organization that carries out research and advocacy for cross-border development in Europe and around the world. Her responsibilities included leading research projects on economic development, transportation and public transit systems, as well as other cross-border public policies. Adela was also a consultant at Aramis, a consulting firm based in Paris, where she focused on evaluations and audits of European and French grant programs for economic development and employment. Adela received a master’s degree in Regional and Urban Planning and a bachelor’s degree in Political Sciences and European Affairs from Sciences Po Paris in France. She is fluent in numerous languages, including English, French, Italian, and Spanish.